This PJ Set is made from 95% Cotton / 5% Elastane Top, and 100% Cotton Shorts. Our Collection at Boxers and Briefs contains only the highest quality Calvin Klein Mens Sleepwear. 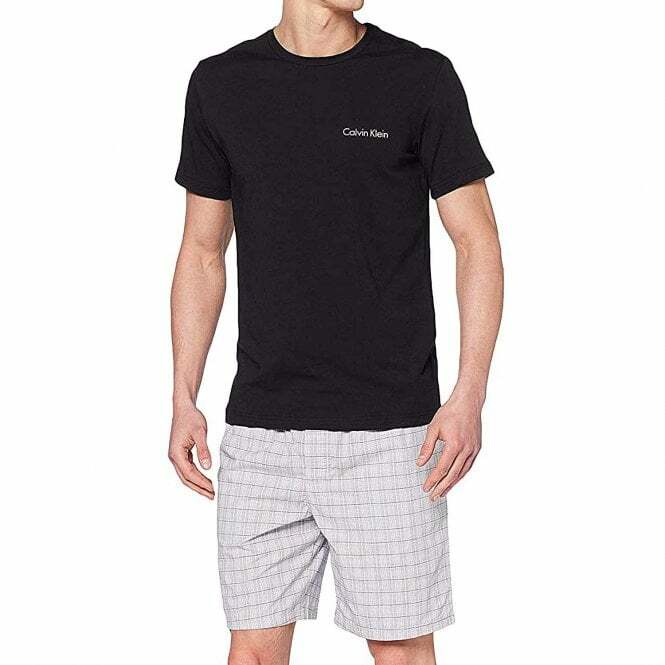 In our Calvin Klein Mens Sleepwear range we have the Calvin Klein Pyjama set. This Black Top / Gather Print Black Calvin Klein Pyjama Set is available in multiple sizes, ranging from Small to Extra Large.